Meet the Kincade brothers: theyâll do what it takes to protect their legacy--but what happens when love gets in the way? Declan Kincade has spent so much time chasing success heâs almost forgotten how to just live. Lately though, his all-business routine has been thrown into disarray. Brooke Hastings is the best employee Decâs ever had: polished, capable, and intelligent. After four years, heâs just realized that sheâs also smoking hot. But their working relationship is too valuable to stake on a fling, no matter how mind-bendingly pleasurable it promises to be. Whatâs worse than never meeting the right man? Finding him, and then working side-by-side every day while he remains absolutely blind to your existence. That is, until one temptation-packed road-trip changes everything. Teaching her gorgeous, driven boss how to cut loose and have fun is the toughest challenge Brookeâs ever faced. But itâs one that could give both of them exactly what they need, if Dec will take a chance on a perfectâand perfectly unexpectedâlove. 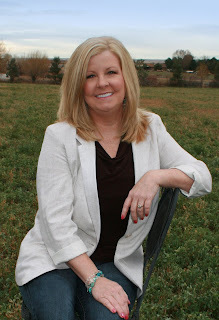 Best-selling and award winning author Candis Terry entertains readers with contemporary romance the Library Journal Reviews calls uniquely satisfying. Both her Sugar Shack and Sweet, Texas series deliver witty and emotional stories about how love, family, and a small town community defines the charactersâ lives. Born and raised near the sunny beaches of Southern California, Candis now makes her home on an Idaho farm. Sheâs experienced life in such diverse ways as working in a Hollywood recording studio to chasing down wayward steers and loves to escape to the breathtaking Idaho forests to energize her imagination.